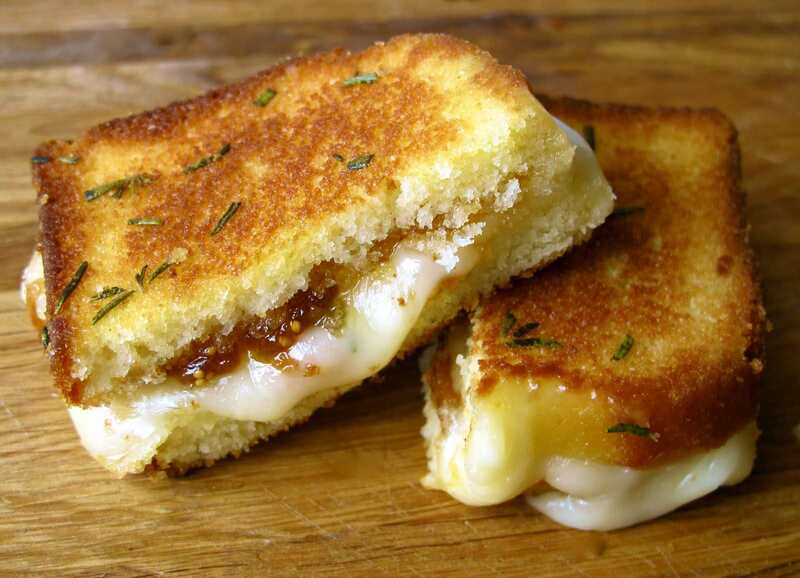 I have to admit that when I dreamt up a poundcake grilled cheese, I thought that I was a pure genius. The buttery, sweet bread crisps up so beautifully and when paired with sweet and earthy fig jam, and creamy brie, well the combo gets even more delicious. I've served this sandwich for breakfast with a side of bacon, for dessert with powdered sugar on top, and pretty much any time that I've had ​poundcake around. This particular cheese is called Oscypek. It’s a delicious smoked cheese made of salted sheep’s milk from the Tatra Mountains region of Poland. I plagiarized that straight out of Wikipedia... sorry, not sorry. I discovered this seductive brine-soaked, 14-day-smoked bundle of goodness last year when I visited Kraków, Poland. Yeah, that’s right. I do things like GO to Kraków. These sweet and savory little monte cristo sliders feature creamy brie, thinly sliced turkey and ham, tangy raspberry jam and crusty French bread. And instead of deep-frying the entire sandwich, like some monte cristos are made, this sandwich is grilled on the stove with salted butter. These little sliders may not be the healthiest of options, but they're super tasty and little so you don't have to feel bad about eating them. And the best part is that this sandwich is good all year round - whether you're making it in the middle of summer when peaches are perfectly in season or whether you're making it in the dead of winter, after your peaches have been pickling for a few months.